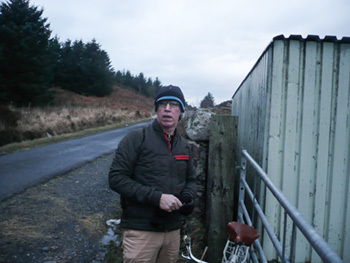 if i may, for a moment, refer my readership to yesterday's opening gambit in the rural city riding narrative, though all was appropriately set by way of risk-assessed route (a little hebridean humour there) and velocipede, there remained the not inconsiderable concern over just what to wear for the journey ahead. the option of dressing similarly to mrs washingmachinepost's grandfather in the 1930s did hold a certain affection, but since i am keener to involve the steel roadster in the here and now, rather than present it as a throwback to days of yore, contemporary attire seemed more fitting. i am well aware of the deliberate contradiction of depicting this as rural city riding, so i'd rather hoped to avail myself of some of the finest apparel designed with such cycling in mind. there are manifest differences between urban and inner city spaces and those of the inner hebrides, but essentially, as far as i'm concerned, the motivation is similar. seventeen miles is seventeen miles, whether it is populated by wall to wall tall buildings, or roadside ditches, trees and bushes and cattle and sheep. rapha very kindly offered the latest offspring from their collaboration with the raeburn brothers, graeme and christopher, by way of a red merino long-sleeve henley and a stunningly fabulous quilted jacket. the henley is derived from the garment reputedly in favour at the sailing agglomerations that occupied sandshoe clad folks at the regatta. as is each and every garment forming a part of the rapha/raeburn range, the henley is made in england, perfectly formed from 100% merino wool. rather perfectly, there is little by way of indication this garment has any affiliation with cycling, other than a generous length of sleeve and a strategically placed rear pocket at bottom right. a round collar closed via three buttons is the very factor that holds the greatest attraction for me. there's a studied level of casual embodied throughout the henley, something that exemplifies the couture skill of christopher raeburn and the cycling nous owned by brother graeme. plain and simple wins everytime. though i saved the jacket for this very expedition, i cannot deny that i have been comfortably wearing the henley since the end of last year; it really is that good. 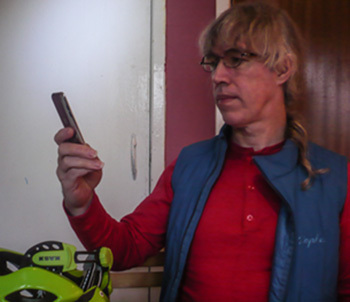 with weather that required just a smidgeon more than jacket and henley, i augmented my uniform with a rapha merino gilet. (how did we ever survive before merino?) though sitting bolt upright on the taurus was hardly the most onerous of riding positions, the long sleeves of the henley could have been made to measure, while the fine red merino offered the luxury of keeping warm without overheating. this really has to be one of the coolest city riding garments it is possible to acquire. it would be a foolish islander who rode anywhere on islay at this time of year without an appropriate outer layer. 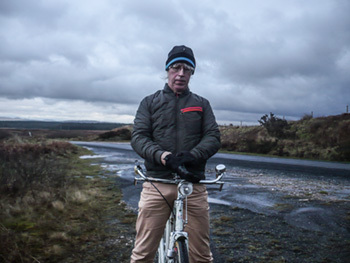 having lived in a bright orange example of rapha's transfer jacket for several months, a jacket that combines incredible insulation with almost impossibly light weight, all bode well for the raeburn brothers' take on the same garment. though the outer fabric and fit are based on the regular transfer jacket, you'd be hard-pushed to make the sibling connection. without a word of exaggeration, i doubt graeme or christopher could have provided a better fit if they'd nipped up here for the weekend and had it made to measure. even mrs washingmachinepost was impressed, and that's something that rarely, if ever, happens. designed expressly for urban cyclists, if nothing else it reinforced my contention that, apart from the wind and occasional bout of horizontal rain, there is little to differentiate between sense of purpose. aside from the exceptional style factor, the principal reason for clothing oneself in the quilted jacket would have to be the insulation factor. the inner and outer layers enclose primaloft eco synthetic insulation, apparently made from receyled plastic bottles. cosy, warm and environmentally sound into the bargain. the merino ribbed collar hides a close-cut hood, while the cuffs and shoulder blades are also home to more merino. apart from two zipped hand-pockets, the jacket features a slanted front chest pocket interrupting the zig-zag military style quilting pattern that decorates both front and back. unlike the regular transfer jacket, the rear pocket is accessed via a side zip, a pocket which, like both the transfer jacket and gilet, doubles as a stowaway pouch into which the raeburn also secretes itself. if any criticism need be levelled at the jacket, it's perhaps through this pocket. throughout the ride, i kept a digital camera within the pocket, and on every occasion, when removing said camera, the lining of the pocket followed along. hardly serious, but a trifle irritating in the wilderness. 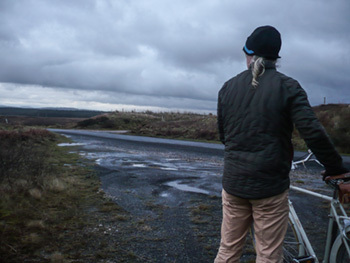 any cycling garment worth its salt features side panels to offer a more anatomic fit on the bike; the rapha raeburn quilted jacket is no exception. in this case, these side panels are fashioned from the very same sportwool that rapha employ on their winter jersey. cosy would be an understatement. the jacket's constitution allows a good range of movement on and off the bike, while the outer fabric turned out to be more water-resistant than i had expected. it won't survive a serious downpour, but it was quite happy simmering in persistent drizzle. if ever there was a set of co-ordinates that are set to test the windproofing of any garment from whichever manufacturer, i'm living there; it seems almost uneccesarily childish to attest to the sturdiness of that windproofing. 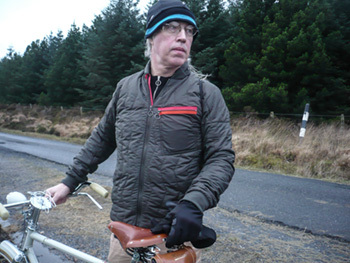 i perhaps let the side down by not wearing a flat tweed cap, opting instead for a team sky winter cap, but the sartorial flexibility of the dark olive quilted jacket rather revelled in an otherwise perceptibly eccentric pairing. £400 is not an inconsiderable amount to lay out for a jacket of any style, let alone one to wear on and off the bicycle, and it's hard to convey in a few words the sense of quality and luxury afforded the wearer, but that's the reality of the situation. designed by two of britain's finest clothing designers, made in england from top quality fabrics and cheaper than a campagnolo super record eps rear derailleur, it surely has to be one of the best examples of cycling attire on the market. check the piggy bank, have words with the bank manager or tell fibs to your other half, but find a way to add one to your cycling wardrobe, preferably paired with a henley. both match most admirably with a taurus corinto.